OK, so you want to go off the grid and live on the fat of the land or you may just be looking for a great place to retire. Whatever the reason most of us would like to keep our property tax bills as low as possible. No other taxes are as unfair as property taxes. Furthermore, don't think that just because you rent your place that you are off the hook..the property taxes get passed down to you too. Property taxes aren't based on your income, nor are they based on a choice to buy a product, nope...whether you can afford them or not, rich or poor, employed or unemployed, fixed income or trust-fund baby if you own property the tax man cometh! Moreover, if you are looking to live off the grid property taxes can really be a problem. After all, how much freedom can you have if you are forced into coming up with a high monthly tax bill? Think about it. You have no electric bills, no heating bills, no food bills, no mortgage and no credit card bills. You are able to house and feed yourself without having to get a job, maybe you are retired or maybe you have a small family and are the sole provider, maybe you are collecting social security or maybe you have a small pension but if your property tax bill is $500 or more a month it can really affect your standard of living and throw a wrench into the whole idea of off the grid independence. So what is a freedom loving, independent, off-the-grid, retiree to do? Well, first of all some states are better than others. 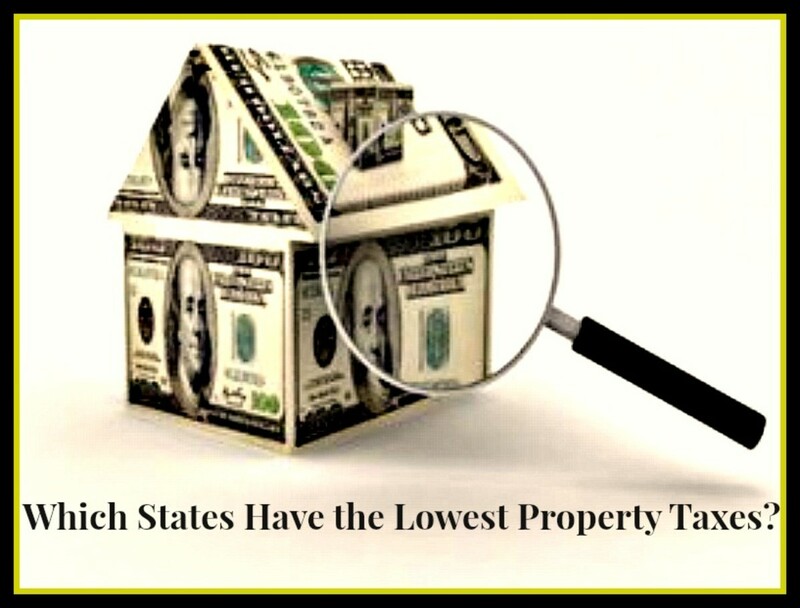 Property taxes in the lowest states are on average less than $1,000 per year (some way less) while in the highest taxed states homeowners can pay 6 to 8 times that amount. However if you don't want to move to one of those states there is one other small glimmer of hope and it is called a property tax circuit breaker. What is a Property Tax Circuit Breaker? A property tax circuit breaker is a law in the state property tax code that either tops off or refunds a property owners taxes when the tax burden exceeds a percentage of the owners income. The term circuit breaker comes from the engineering term that means to shut off power before overloading the system, similarly the property tax circuit breaker shuts down taxes before they overwhelm the taxpayer, nice huh? There are 35 states that have property tax circuit breaker provisions in their state law, 23 of them have additional requirements like age or disability. If you are not elderly or disabled you might want to focus on the 12 states including the District of Columbia that have no such requirements to locate your off-grid homestead. 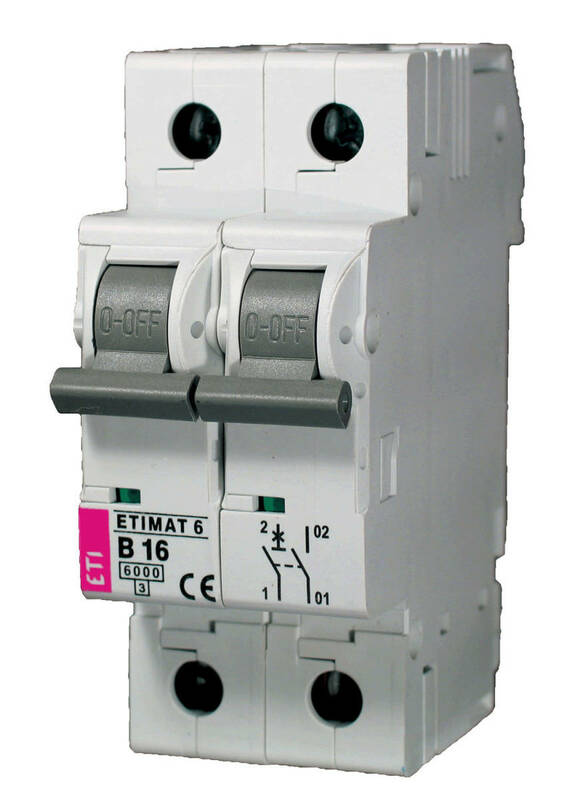 Each state is unique in it's allocation of circuit breaker provisions. And while these 12 states (plus DC) base their provisions on income that doesn't mean that if you are elderly or disabled you wont get a bigger break. Not only that but unfortunately laws can change and with the ongoing economic depression some states may do away with the circuit breaker provision altogether. Therefore, even though property taxes may be one aspect when deciding where to locate they should not be your sole consideration for moving. There are 36 states that don't tax social security benefits, that means that there are 14 states that do. If you are depending upon social security you might want to avoid those states as well. Those states are: Colorado, Connecticut, Iowa, Kansas, Minnesota, Missouri, Montana, Nebraska, New Mexico, North Dakota, Utah, Rhode Island, Vermont and West Virginia. All in all I hope this bit of information helps you to make an educated decision as to where to locate your off-grid homestead, spend your retirement or just avoid giving your hard earned money to the government, Ciao! Information on government property tax exemption programs. Assistance, including deductions and Homestead exemptions are offered for seniors and disabled on their taxes. 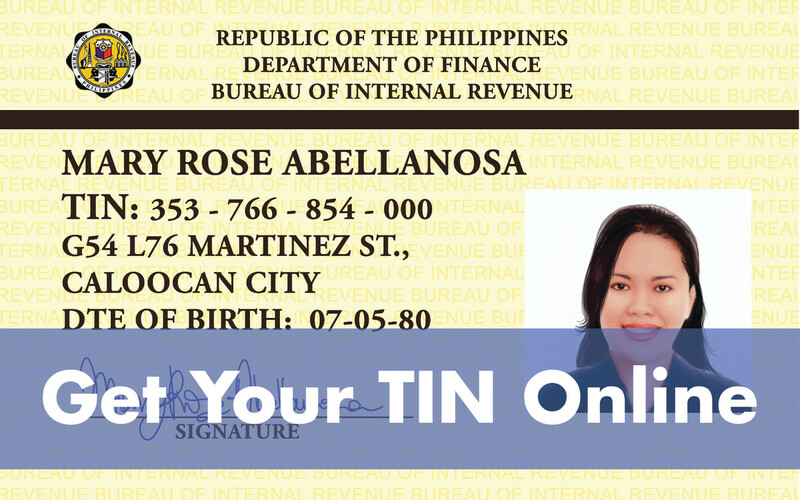 Live-in Jobs that keep your tax liability at a minimum! Eliminate Taxes Completely! What if there were no tax at all? A comparative guide to state taxes nationwide, including income, fuel and sales taxes, retirement income taxation, senior tax exemptions, homestead exemption, property taxes, inheritance and estate taxes. Compare states to find where to retire. Here here! I agree fully. Nice hub! Most people are unaware of how much it costs to live in their state of residence. Income taxes is another subject matter that closely corresponds to your hub. Voted up! There is a map above. Utah is relatively low compared with a lot of other states. I'm not sure how property taxes in Utah compare to how they are everywhere else but they seem super expensive! I live in New York too and did you know that New York has the highest taxes in the country? It's terrible. Great information! I live in New York which just keeps raising taxes (but services are actually decreasing). It's pretty ridiculous to be honest. It's also amazing that in the heyday of the real estate boom, how quick the state was to increase taxes but now that we are in a bust, it's pretty much radio silence from the state. I've been told by colleagues at work that lawyers can work to lower your rate (for a fee of course) but they said it was well worth the fee. I have to look into that. All taxation is a form of slavery. The public schools are nothing but indoctrination camps for our children. Excellent hub! I didn't mind paying high property taxes in WI because the schools were fabulous. But it's unclear what we're getting for our high property taxes here in Western NY ... the tax rate is higher, but the schools perform worse. Its a matter of getting what you pay for. Yes, but just make sure you can get water..that's the main thing in AZ. Good luck and thanks for the fab fan mail note! Brie, what a great hub! I was very glad to see Arizona as one of the few low priced property tax states. Originally from California, it seems like a peaceful place to live and or invest in. Well yea compared to New York or New Jersey but still Oregon's property taxes are too high IMHO. Oregon has moderate property taxes (compared to some) but they have NO state sales tax. So if you make any big purchases,that makes some difference, too. Taxes are also used for the betterment of people. We should pay taxes if we comes in the category of tax paying people. Its our duty. Personally, I think 95% of all taxes are unnecessary! The reason we have taxation is because criminals are running the government and they are shaking us down either for wars (that are contrived and illegal) or for bogus projects or for illegal interest. Brie, here is an interesting point of view on taxes in general, my brother thinks all business taxes should be eliminated and should be transferred to income taxes, it sounds crazy, but here is his reasoning. Business taxes are really just a way for the government to tax people without them knowing it since it becomes part of the overhead. If people really knew what they were paying, the would demand change. Lets say you buy a loaf of bread for $4.00. The suppliers of raw materials are paying taxes, the baker is paying taxes, on fuel, real estate employees etc. The company that delivers it are paying fuel tax, tax on their phones, tax on vehicles tax on vehicle maintenance, tax on employees etc etc etc, the store has all the same taxes, plus sales tax on the bread in some states, so how much of the $4.00 is taxes? we don't know, it could be 20 cents, or it could be $2.00. Have a good weekend!! Just keep an ear open for changes in laws..happens all the time now. Thank you for your analysis Brie! I think it is clear that I will need to move to Arizona now. Who is coming with me? To tell ya the truth, I don't think I would miss cold and snowy winters one bit! AZ here I come, just keep the scorpions away. Anything else I should look out for? Yes..and its getting worse everyday. Wonderful information. Looks as if it is impossible to get away from Govt. intervention anywhere. Sad state of affairs! Property taxes are a total rip off..as are most all taxes! We are paying huge taxes against our property. but this information is very useful. Thanks for all this. Why? I donot think so. Just kidding by the way, we were doing marble mantles at that job by the way, I can send pix if you like of project. Once, in NY, I was on match.com and this guy recognized me..he had, I don't know, winked at me (you know how those are) and I found out he lived across my wall..on the other side of my apartment wall. NYC is smaller than it seems. Cool, I walk by it all the time...small world! Ha that's where I live 71st and Park. But I don't have a car. NYC has a lot of hidden taxes, in the gas appliance industry, we need an MEA number for NYC, it's simply a tax on the manufacturer in order to sell in the city. We charge double to triple to work in the city because of the added expenses!!! Is it any wonder considering the chief thieves live here? I'm speaking of the CFR. A nice informative Hub, thank you. Living in NYS we pay pretty much every kind of tax the Government can imagine so any relief is a blessing. I'll have to see whether we can get this worked out or not. Yes, there are lots of things to consider..it can be dizzying! very useful info, I didn't realize that some states do not tax social security. I live in CT which we affectionately call connecti-tax. It's a big movement..the off the grid movement. Thanks for writing. This is a very informative Hub and is a great resource for anyone who might be thinking of moving to a new state. Personally, I wouldn't pick CO because the property is expensive there and in some parts you don't get enough rain. But, to each his own. What's so bad about living in Colorado? You should also note that just because a state is a circuit breaker state that doesn't mean that is has the lowest taxes. 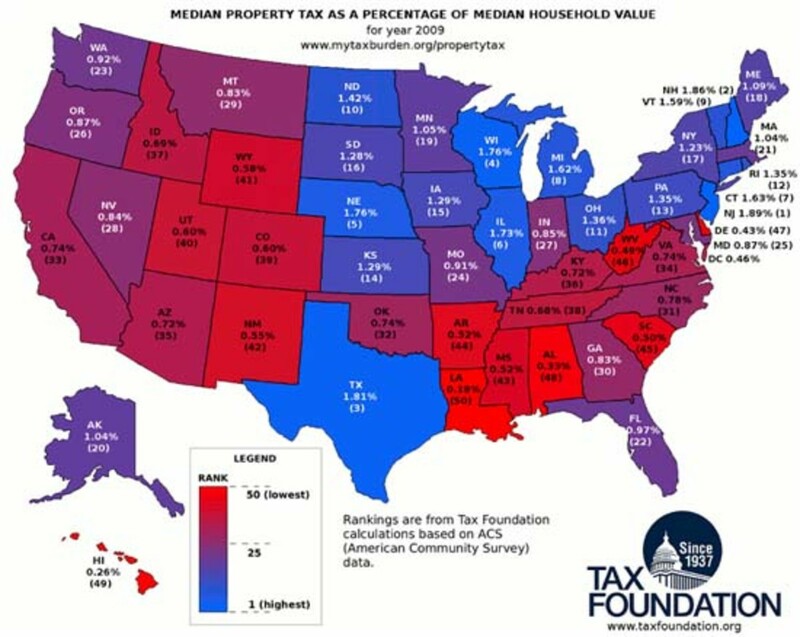 Look at the map...Alabama is not a circuit breaker state but they have some of the lowest taxes (property) in the country. So don't just assume that because of the circuit breaker that is the very lowest of property taxes. Personally, I like Idaho because it is very low and the weather is pretty mild. I noticed all 12 ciruit breaker states you posted have cold winters. People might want to figure energy costs into these area's. Fuel oil and gas is expensive. It would be nice to retire to a place that does not require alot of heat. You have to convince your family to relocate with you! Good info! I myself live in Illinois and pay $6,000 a year in taxes and it's killing us! I guess that's the price I pay for wanting to stay close to my family. Hi there - just wanted to let you know "Main" has an "e" on the end. Air, today, sometimes you can get a land owner to hold paper if you want to get your foot in the door to get started. Also in rural areas, you need to remember the cost of well and septic, it can get costly depending on site conditions. Yes, is that considered a farm assessment? Wow 45-70! Do you have a special deal? Thanks for the information. Will they go up when you convert that barn into a home? If so, do you know how much? Glad to be of some help. Most of my articles are about things that I am interested in, so I figure if I'm interested other people must be as well. Thanks for commenting. Thank-you for doing all hard work for the people who want to move or are thinking about moving. This will be very useful for them, it was for was for me. Looking to relocate and this will help me. Yes, that is a concern, I checked out the insurance though, it appears to be available in case anyone is interested. Don't know about that...I still wouldn't live in Florida because of HAARP. I don't think anyplace near the coast is a good place. Even if your house stands...what good will it do if everything around you is devastated? Brie, I like this hub because the more answers we have, the more questions we get. If I build in Florida, I would build close to hurrican proof all concrete since I am in the building business. I wonder if "liability only" insurance is available for trip and falls, swimming pool accidents etc is available. I would have no mortgage so no bank to tell me I need it. I don't plan on ever having a mortgage again but yeah I would imagine that it would be high in Florida because of the hurricanes. Personally, I wouldn't move to NC or CO. Interesting, a lot of people say N.C. and Colorado are the best two states, another thing to check is homeowners insurance, I understand it's through the roof in Florida now. Yea, I'm not impressed with NC, there are better states. Thanks for commenting. Good job as usual Brie. I live in NC. According to the chart it appears we are in the middle of your bracket. We also have high gas taxes. Thanks Jalus, yea it took me a bit of time for this one. This is an excellent hub. You did a wonderful job gathering all of this information. Thanks! No, in Idaho it is limited to age and disability. Thanks for commenting. I've never heard of it here. Is that the same as the "homeowners exemption"? Where you pay less taxes in a home own and live in as opposed to a home you own as a rental? I had no idea some states offered a "tax circuit breaker!" I will certainly pass your Hub on to some of my friends struggling to keep their roof over their head! 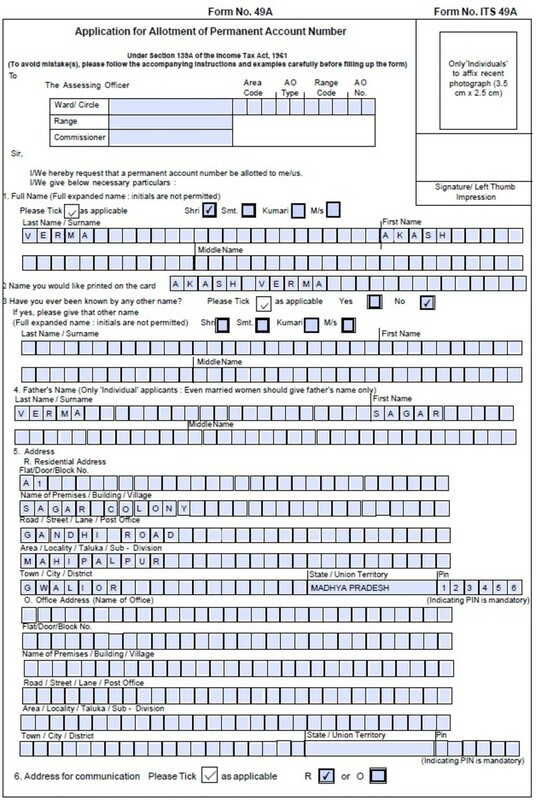 In California most homeowners can fill out a simple form at their County Assessor's Office and get a 10% reduction in their property taxes without much problem! Every little bit helps! For a large tax reduction, based on the reduced value of a home in this economy, it's slightly more work and takes a few months! But well worth it for a 50% reduction! I too, envision living off the grid in time! I think many of us are returning to organic gardening and collecting rainwater and installing solar! Thanks for your great information! Rated up as always! That's why I am buying property and Southwest Florida,at 90% off 2005 prices and looking at the Carolinas also, and trying to get my income totally online in 5 years. Thanks gguy, The Frog Prince and breakfastpop...yeah it looks like New Jersey is one of the worst all right but since a lot of my fans wont be going off the grid in New Jersey it might not be so bad for them :) But, if I were retiring I'm not sure I'd stay there. Anyway, I am glad you like it and I hope it helps someone somewhere. Great job. I live in New Jersey, need I say more? Nice presentation. I grimmaced a bit when I found my state among the "don'ts." Gives me a new issue to work on though. Thanks for an excellent post Brie. Brie, nice job here, as I live in New Jersey the highest taxed state in the country. There are a few other tips though I live in a very affluent town but in one of the smallest houses, a two bedroom cottage of about 1000 square feet, on a smaller lot, but back up to 14 acres of greenspace so it is very private it should stay that way. I pay under $4000.00 a year which is almost unherd of in Bergen County, most of the house in this town pay between 10,000-$20,000 in taxes, so the lession here is there may be an individual property that works for you. We also have strict one family zoning, however people over 62 can add a small rental apartment to help offset there tax bill. Once again careful research needed here. Thank You for the great hub!